Welcome to R5 Bathrooms & Plumbing. 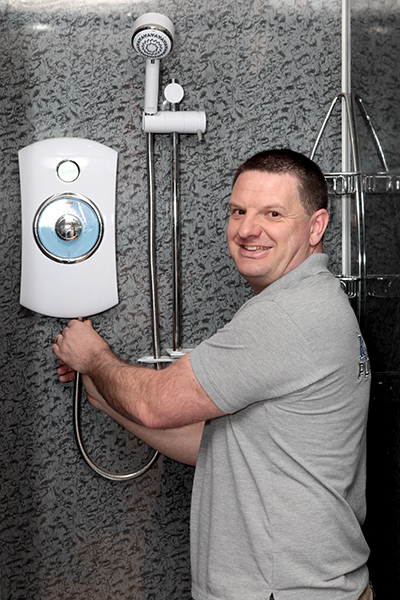 I’m Richard Golay, a Bathroom Specialist & Plumber based in Warminster. We work within a 20 mile radius from Warminster which covers a wide part of Wiltshire and Somerset including Trowbridge. R5 Bathrooms & Plumbing is a family run business, that myself & my lovely wife & business partner Francesca Golay Co-own and run together. Whilst I’m out on the tools, Francesca is doing the sales & marketing of the company. We specialise in bathroom design and installation & undertake all aspects of plumbing & heating jobs including small jobs. We are fully insured, fully qualified and have 11 year’s Plumbing experience.